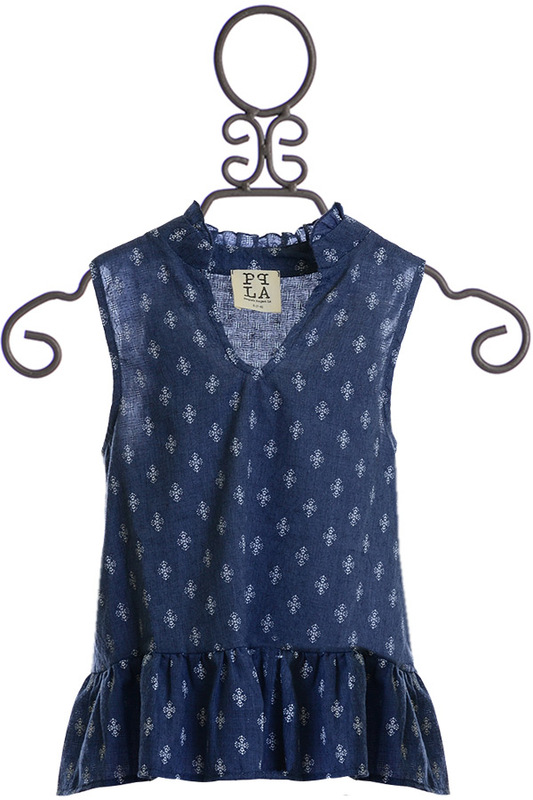 $22 - Blending trends to create its own look, this tween top is a new arrival from PPLA. The blue top is covered in a tiny print that forms crosses to cover the design. A ruffle falls to form the hemline while the unique collar neckline ties and falls to a V. 65% Polyester and 35% Cotton. Hand Wash Cold, Line Dry.